Sarawak Energy harnesses the state’s abundant indigenous natural resources to generate predominantly renewable hydropower, complemented by thermal (gas and coal) for energy security and diversity. The total installed capacity of the 8 major power stations connected to the Sarawak Grid (the network of extra high voltage transmission lines and substations that connect generating power plants to the distribution network that serve the towns and cities of Sarawak) is 4640 MW. Currently in construction is Balingian Power Plant, which will be fully commissioned in 2019 and will boost the installed capacity to 5264.4 MW. Additionally, to meet the demand of Northern Region in Limbang and Lawas, there are 2 urban rural diesel and mini-hydro power stations with a total installed capacity of 43.5MW. The installed capacity under Sarawak Energy totals up to approximately 5307.9 MW across Sarawak. Blessed with high rainfall and an abundance of rivers, Sarawak provides affordable, renewable energy through hydropower developments. Our first hydroelectric plant (HEP) at Batang Ai (108MW) was commissioned in 1985, with Bakun HEP (2400MW) in 2011, followed by Murum HEP (944MW) in 2014. Currently, Baleh hydroelectric project (1285MW) is under construction and is expected to be commissioned by 2025. The total installed capacity of our large hydro plants is 3452MW. In addition to large hydroelectric projects, Sarawak Energy has also developed small hydropower plants that support off-grid communities and rural electrification in Sarawak’s many remote villages. Batang Ai, Sarawak’s first hydroelectric plant, commenced operations in 1985, captures the stored energy of a 90 sq km reservoir impounded by a dam 85 m high and 649 m wide. It has functioned smoothly for over 30 years, delivering up to 108 MW of power to Kuching via a purpose-built 275kV transmission line. The station is refurbished and upgraded to serve for another 30 years. The project has transformed the lives of local communities, who enjoy much better access to education and healthcare and to markets for their agricultural produce. Many have also become involved in ecotourism, driven by the unique culture of the local Iban people and the spectacular rainforest of the project catchment area. The local orangutan population has risen steadily since the establishment of the 120,000-hectare catchment area, which is now one of the most densely populated orangutan habitats in Borneo with more than 1.7 animals per sq km. Murum HEP is located on the Murum River in the upper Rajang River basin, 200 km from Bintulu. It is designed to produce 635 MW (constant) and 944 MW (peak) from a 2,750 sq km catchment area feeding a 270 sq km reservoir. Construction began in 2008 and by mid-2015 the station was fully operational, delivering its specified power into the state grid. Murum’s ecological features include the world’s tallest stepped chute spillway, which aerates overflow water and reduces its kinetic energy. This helps preserve the riverine ecosystem, which is further protected by a 7.5 MW ecological power station that supplies power to the nearby resettlement areas and also conserves the 13 km stretch of the Murum River between the dam and the powerhouse. In addition, the dam crest was redesigned to preserve the Batu Tungun rock formation, sacred to the local Penan community. The Bakun HEP is located on the Batang Balui, the upper course of the Rajang River, approximately 37km upstream of Belaga town. 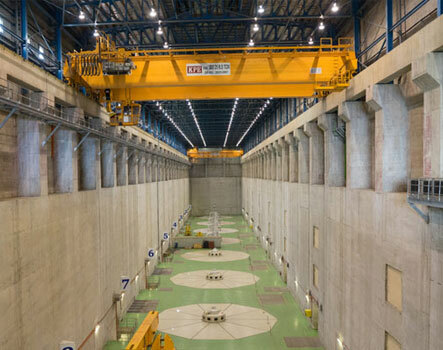 The project comprises of a hydroelectric power plant, with an installed generation capacity of 2,400MW (firm energy of 1,771MW) and a power transmission system to connect with the existing transmission network in Sarawak. The Bakun HEP Plant has been operational since Year 2011, and have been injecting generation ranging from 1,700MW to 2,110MW depending on the grid demands. Bakun Concrete Faced Rock-fill Dam is still the tallest and largest dam in South East Asia, standing at 205m high with a rock fill volume of 16.93 million m3. The CFRD holds upa large reservoir with a surface area of 695km2and a catchment area of 14,750km2.To ensure the dam integrity, a gated Spillway structure with chutes and flip buckets was constructed, with a capability of discharging 15,000m3 of Probable Maximum Flood (PMF) event safely downstream. Bakun HEP Plant is the largest power generation in Sarawak, and supports the Sarawak Corridor of Renewal Energy (SCORE) initiative in Samalaju Industry Park for energy-intensive heavy industries. 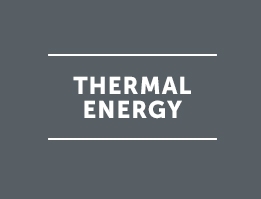 We generate thermal power mainly through our coal and gas plants. Current installed capacity exceeds 1,200 MW, with five major power stations connected to the Sarawak State Grid and a number of standalone rural diesel power stations. Sejingkat Power Plant located at Kampung Goebilt, Sejingkat, is Borneo’s first coal-fired power plant and Malaysia’s second. With a total installed capacity of 210MW, it is a major supplier of electricity for Kuching. Both Phase 1 and Phase 2 boiler-turbine units are under the management of Sejingkat Power Corporation which is ISO9001, ISO14001, OHSAS18001 and ISO27001 (ISMS) certified. Mukah Power Plant is Sarawak’s second coal-fired power plant. It is a major supplier of electricity to the southern and central regions of Sarawak, with a total installed capacity of 270MW. The Balingian Power Plant will be Sarawak’s third coal-fired power plant and will have two units of 300MW each. Under construction by Shanghai Electric Group, the plant utilises Circulating Fluidised Bed Boiler Technology and is the first subcritical pressure CFB Boiler in South East Asia of such size. The Balingian Power Plant is expected to begin commercial operations in 2019. Bintulu Combined Cycle Plant, with a combined capacity of 317 MW, was registered with the United Nations under the Clean Development Management (CDM) scheme on 18 September 2010. The CDM scheme is part of the Kyoto Protocol environmental agreement and aims to encourage sustainable development and reduce greenhouse gas emissions. The Bintulu facility is the largest CDM plant in Malaysia. Miri Power Station was officially opened by the late Deputy Chief Minister Tan Sri Stephen Yong on 2nd December 1972. In operation for about 45 years, it has a total installed capacity of 112MW and is ISO 9001, ISO 14001, OHSAS 18001, and ISMS 27001 certified. 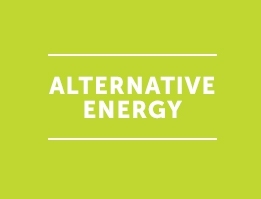 Alternative energy sources include almost anything that's not a fossil fuel. For example, wind, solar, hydro, and biomass. Given growing climate change concerns, alternative energy sources are a better alternative to fossil fuels as they produce lower carbon dioxide emissions. Using micro-hydro and solar hybrids, the Sarawak Ministry of Utilities is collaborating with us to help more than 30,000 rural household achieve full electrification by 2025. The State Government’s vision is to ensure all rural communities including the most remote and inaccessible upriver communities have access to constant electricity supply. 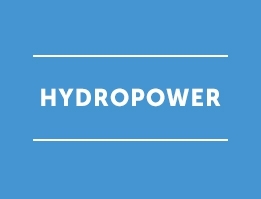 Micro-hydro is the small-scale harnessing of energy from falling water such as that from steep mountain rivers. Using this renewable, indigenous, non-polluting resource, micro-hydro plants can generate power for homes, hospitals, schools and more. There is great potential for micro-hydro in Sarawak especially for its many scattered communities who have no access to the power grid. And we are always looking for opportunities to supply rural village that have hydro potential with micro-hydro. In fact, in 2014, a micro-hydro station was built in Long Banga, supplying 138 households. We plan to fit the station with two more 160 kW turbines to supply three adjacent villages. Once the expansion is complete, Long Banga will supply an estimated 152 new households. Solar hybrid power systems combine solar power from a photovoltaic system with another power generating energy source. This system is used for islands, mountainous landscapes or areas in the deep interior of Sarawak. 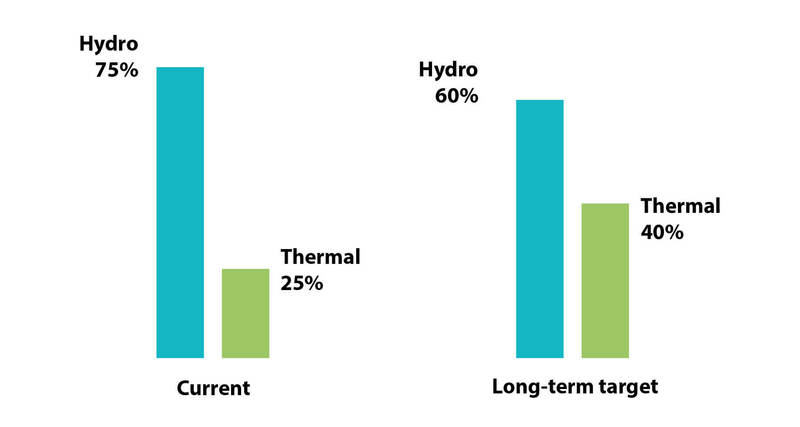 Although Sarawak has considerable solar potential, it is not competitive enough for utility scale grid generation when compared to hydropower. Nevertheless, solar remain practical for remote rural areas.To gather and convert available solar energy to electricity, photovoltaic (PV) or solar panels are used. However, solar PV applications in Malaysia are limited to mainly standalone PV systems, especially for rural electrification where the technology costs are highly subsidised. Hybrid systems based on PV and diesel generators have been used for the electrification of remote islands where grid connection is a costly option. Rural electrification projects particularly in Sabah and Sarawak have also incorporated PV systems in places where supply from the grid may not be possible for years to come. Sarawak Energy has been entrusted to spearhead energy related research starting with a feasibility study in hydrogen and fuel cells application in the state. We are building a pilot hydrogen refuelling station for transportation in 2019. This pilot project is for research purpose only and aims to demonstrate the technology’s local potential. Sarawak Energy, is aiming to connect more than 30,000 remaining rural households towards achieving full electrification by 2025. Through intense efforts under the Rural Power Master Plan, the application of technological innovation, creative thinking and multi-agency collaboration, the state’s vision to achieving full electricity coverage by 2025 is closer to realisation.